We create classical projects with enduring value, quality and style. Our team of skilled builders, trained quality control personnel, professional consultants and artisans are committed to delivering your dream project on time, per contract, and to your complete satisfaction. We have a combined building experience of more than 29 years. Our commitment to perfection is shown in our certifications, memberships, and in our local building and conservation expertise. We deliver thoughtful, innovative designs. Meticulous craftsmanship, quality materials, and superior design ensure you'll love your home more and more in the years to come. Your "mind's eye" holds the vision of a dream home that nurtures your relationships and elevates your spirit. Tell us what you see. Let us help you fulfill your vision. Won the NARI Greater Dallas CotY Award for Entire House $750,001 to $1,000,000 in 2015. Tarrant County Leading Custom Home Builder Best of Houzz 2015 & 16! I learned to love wood (and tools!) by working with my father. Remodeling is my second career. After graduating from Southern Methodist University with a business degree, I spent 21 years in the computer and semiconductor industries. My entire work life has been spent deploying technical resources to meet customer expectations. As a remodeler, I get to use my management, organization and communication skills to pursue my passion for enhancing homes. 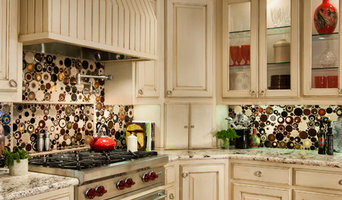 -Jack von Gillern, Certified Remodeler von Gillern Construction is a residential remodeling firm. Our goal is to deliver excellence in the “complete remodeling experience”. This starts with listening to customer requirements and extends all the way through our warranty program and post completion support. We feel that the production of clear design, bid and contract documents are the foundation of a successful relationship. 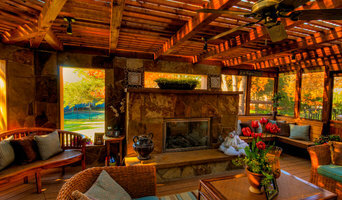 Our goal as a home remodeling company in Dallas is to deliver excellence in the “complete remodeling experience”. This starts with listening to customer requirements and extends all the way through our warranty program and post completion support. If you are looking to build or renovate your dream home, call von Gillern Construction at (972) 597-2580 or click the "contact me" button to send us a message. We look forward to working with you! Canterbury Custom Homes is committed to helping our clients make their dreams a reality. As a builder of luxury homes, we strive to design homes that are both beautiful as well as functional. Upon entering one of our homes, it is obvious right away that we put a lot of effort into creating a good first impression. However, once the home is yours, you will then see how much your family’s lifestyle has been taken into consideration every step of the way. In order to streamline the building process we offer a complimentary consultation and rough sketch of your new home design along with up-front pricing. Dallas Full-Service General Contractor - Best of Houzz 2015-2017! Gary Vaughan, is your neighborhood go-to remodeler with world-class credentials. He’s received two major professional designations as a Certified Remodeler (CR) and as a Graduate Master Remodeler (GMR), all indicating a high level of personal professionalism and proven ethics. In order to even be considered as a GMR, Gary had to complete 20 years of remodeling experience, 5 intensive courses, and be an active CR from the top association in the industry, NARI, for 15 years. 2014 l 2012 Dallas Builders Association Remodeler of the Year. Works at Kitchen l Bath l Multi-Room renovations. Redo is a full service residential remodeling and new construction company owned by Dave Anderson and Scott Clouse. Dave and Scott strive for excellence in their work, but also in their relationships with clients. They place a high priority on four key aspects to ensure a positive client experience: quality construction, communication, character, and cleanliness. Ein Haus bauen umfasst eine Menge an verschiedenen Aufgaben. Die Bauunternehmen helfen Ihnen dabei. Ein Bauunternehmen in Dallas, TX ist für die fachkundige und termingerechte Ausführung aller Arbeiten beim Hausbau zuständig. Von der Sicherheit auf der Baustelle bis zur Berechnung der Kosten für Baustoffe und Baumaterialien müssen beim Hausbau verschiedene Prozesse und Phasen koordiniert werden. Das Know-How haben Bauunternehmen in verschiedenen Leistungsspektren. Es lässt sich in drei Kategorien einteilen: als Fachunternehmer übernehmen sie gewisse Leistungen für ein Bauvorhaben, etwa die denkmalgeschützte Sanierung eines Altbaus oder den Ausbau von einem Dachgeschoss. Als Generalunternehmer – unter diese Kategorie fallen die meisten Fertighaushersteller oder Hausbaufirmen – erfolgt das Haus bauen in der Regel „schlüsselfertig“ (SF-Bau), was die Fertigstellung von einem Rohbau sowie den gesamten Innenausbau meint. Als Generalunternehmer agieren Bauunternehmen, die neben dem Neubau auch planerische Aufgaben übernehmen. Dazu zählen die Suchen nach einem geeigneten Grundstück, die Modifizierung von Grundrissen oder ein Konzept zur Finanzierung von Ihrem Eigenheim. Sie haben den Entschluss gefasst und möchten ein Haus in Dallas, TX bauen? Dann haben Sie dabei die absolute Gestaltungsfreiheit und können das Haus nach Ihren individuellen Wünschen gestalten – Sie sind der Bauherr. In Abhängigkeit mit Ihrem Budget entscheiden Sie über Wohngröße und Zimmeranzahl. Lassen Sie sich beim Haus bauen von Bauunternehmen zu Dachformen, Stil, Energiestandards, Flächenform, Materialien und Technologien beraten, damit Sie langfristig Gefallen am Haus finden. Ist das Haus gebaut, kann das Einrichten Schritt für Schritt beginnen. In unserem Magazin erhalten Sie Ideen wie Sie moderne oder auch klassische Einfamilienhäuser einrichten. Ob Reihenhaus oder freistehendes Wohnhaus – nicht zuletzt aufgrund der Freiheiten, was den Grundriss und die Gestaltung von Grundstück und Garten angeht, gehört das Einfamilienhaus zu den beliebtesten Haustypen, die in Deutschland gebaut werden. Eine günstige Möglichkeit ein solches Haus für die ganze Familie zu bauen, sind sogenannte Fertig- oder Musterhäuser, die sich auf Häuser-Ausstellungen vorab besichtigen lassen. Die Vorteile der Fertigbauweise liegen auf der Hand: fixe Kosten dank des Pauschalpreises, ein fester Zeitplan für den Hausbau und modernste Technik. Große Bauunternehmen verfügen über eine Vielzahl verschiedener Hausmodelle: so gibt es energieeffiziente Einfamilienhäuser als Massivhaus ebenso wie ein in Leichtbauweise gebautes Eigenheim. Bei vielen Fertighaus-Anbietern in Dallas, TX lassen sich nicht nur Fassade und Ausstattung, sondern sogar der Grundriss individuell verändern. 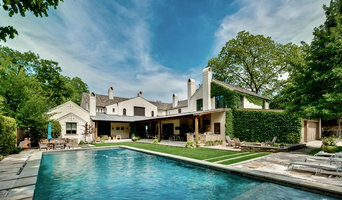 Was halten Sie davon ein Bungalow in Dallas, TX zu bauen? Welches Leistungsspektrum deckt Ihr Baugeschäft in Dallas, TX ab? Was kostet ein Hausbau in Dallas, TX? 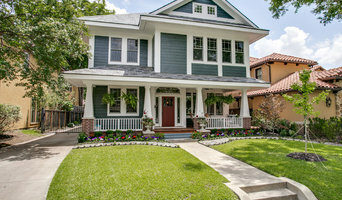 Auf houzz.de finden Sie 18.841 Bauunternehmen in Dallas, TX, die Sie direkt kontaktieren können. Durchstöbern Sie die Liste der Anbieter und speichern Sie die schönsten Häuser als Inspiration für Ihr Bauvorhaben. Lesen Sie die Bewertungen, um zu erfahren, welche Erfahrungen andere Kunden mit dem Anbieter gemacht haben. Kontaktieren Sie dann die beste Baufirma in Dallas, TX, um weitere Informationen zu erhalten.